Blood appearing in saliva may be due to bleeding in the digestive system or respiratory tract. But it can also indicate severe conditions like cancer! 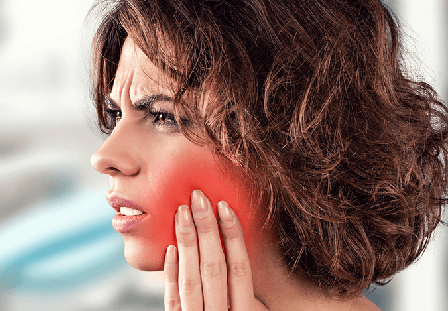 Seeing blood in the saliva may be alarming to many people, but it may or may not be associated with a serious condition. One may spit blood, cough out blood or even vomit blood, and the causes of these are varied. Blood in the saliva may be coming from the gastrointestinal tract or the respiratory tract, and the severity may vary depending on the cause. Here are some common causes why a person may see blood in the saliva. Blood appearing in saliva commonly come from the mouth, the nose, and other parts of the gastrointestinal and respiratory tracts. There are various symptoms that may accompany the saliva having blood phenomenon depending on the cause. When these accompanying symptoms, one must seek immediate medical attention to avoid potential complications. One must not ignore these warning signs and symptoms. Whatever the cause of these symptoms, one must seek proper diagnosis and treatment. Occasional bleeding from the mouth and gums may be treated by proper oral hygiene. However, more serious causes need more intensive medical care. Bleeding from the gastrointestinal tract may be diagnosed by inspection of the organs using an endoscopic technique, where a minimally invasive device that has a camera is passed from the mouth to the esophagus and the stomach. When the underlying cause of bleeding anywhere in the digestive track is identified, treatments can be applied using the same endoscopic technology. Active bleeding in the upper gastrointestinal tract can be controlled by using heat to cauterize, directly injecting chemicals into the site using a needle, or clipping a bleeding blood vessel through the endoscope. If bleeding cannot be controlled with this technique, surgery may be required. Recurrence of bleeding may be prevented by taking prescribed medications. Bleeding from the respiratory system. Infections such as tuberculosis in the lungs may be treated with antibiotic medications. Coughing up blood from the respiratory system may also be examined and treated through an endoscopic technique called bronchoscopy. A balloon may be inflated in the site to stop active bleeding. A bleeding bronchial artery may also be blocked using metal coils or other substances in a technique called embolization. Severe bleeding in the lungs may need lung resection or peumonectomy. Cancer in the respiratory or gastrointestinal tract may be treated medically or surgically, and may also require chemotherapy with or without radiotherapy. Inflammatory conditions may also require steroid therapy. Transfusion of blood. 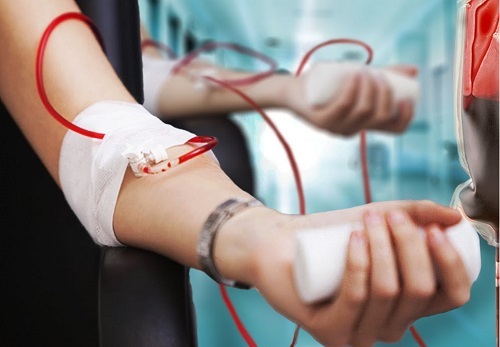 People who lose large amounts of blood may need transfusion of blood or other special medications to reduce blood loss. Seeing blood in saliva may or may not be a serious condition. You must see a doctor when you notice blood for more than a week, or when it comes and goes or gets more severe over time. You must also consider seeking medical help when there are other significant symptoms such as paleness, chest pain, weight loss, high fever (more than 101 degrees), night sweats, anemia, shortness of breath and persistent pain. If left untreated, severe cases of spitting or vomiting blood can result in a life-threatening situation. Call 911 or go to the hospital for serious symptoms, such as difficulty breathing, vomiting blood (fresh or black), severe abdominal cramps, or changes in levels of consciousness.